Get ready to hit the slopes! But before packing the car and heading to the mountains, be sure to plan ahead and find out if there are any military discounts available. Many ski resorts throughout the United States offer special savings to active duty military personnel and their families. You may find some discounted lift tickets by visiting your base ITT, while others are available online or at the mountain ticket windows. 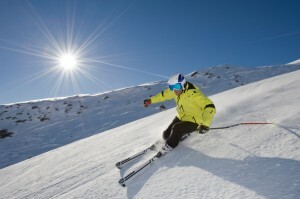 Many ski resorts throughout the United States offer special savings to active duty military personnel and their families. Attitash, Bartlett, NH – Active duty, retired and honorably discharged U.S. service members and dependents can receive a free Military Discount Card which is good for 25% off weekend/holiday window rate lift tickets and 40% off midweek/non-holiday window rate lift tickets. Attitash is part of Northeast Peak Resorts and this discount is good at any of the resorts including Wildcat and Crotched Mountains in New Hampshire; Hunter Mountain in New York; Jack Frost and Big Boulder in Pennsylvania and Mount Snow in Vermont. Okemo Mountain Resort, Ludlow, VT – Midweek, weekend, holiday, and non-holiday discounts are available to active duty military and their dependent family members. Mohawk Mountain, Cornwall, CT – Active duty military can enjoy skiing or snowboarding with a free lift ticket. Show your military ID at any ticket window in the Main Lodge. Non-active duty personal and veterans can receive any lift ticket for a junior rate. Ski Butternut Resort, Great Barrington, MA – Active and retired military and their families are eligible for the Hero Discount which is good for up to a $25 savings on lift tickets, up to a $10 savings on ski and snowboard packages, and up to a $20 savings on most group lessons. View this flyer for details. Blue Knob, Claysburg, PA – Service members can take $5 off ticket prices and multi-day discount ticket purchases are also available. Shawnee Mountain, Shawnee on Delaware, PA – Active duty military can save up to $13 on midweek, weekend, and holiday lift tickets, and up to $30 on multi-day lift tickets. Appalachian Ski Mountain, Blowing Rock, NC – Active duty military soldiers, spouses, and dependent children can receive $5 off each adult ski ticket. Bryce Resort, Bayse, VA – Military discounts are offered every day on day passes, 4-hour flex passes, night skiing, carpet/slope, and equipment rentals. Beaver Creek Resort, Beaver Creek, CO – Lift tickets can be purchased at the ticket window at a military discounted price. Copper Mountain Resort, Copper Mountain, CO – Copper Mountain has special Military Season Passes which include unlimited and unrestricted (no blackouts) skiing/riding, 40% off Tubing Walk-up Sessions, plus additional discounts on rentals, lodging, food, lessons and more. Purchase online. Keystone Resort, Keystone Colorado – Active military, reservists, National Guard and Coast Guard personnel and immediate dependents can purchase the Military Liberty Season Pass which allows unlimited, unrestricted access to Keystone and Arapahoe Basin. Passes are available at the Keystone Pass office all year long or at several Air Force bases and Fort Carson. See site for details. Loveland Ski Area, Loveland, CO – The Loveland Stars & Stripes Military Season Pass is offered to active duty and retired military and is only available on select bases. It is not available at Loveland Ski Area or any Loveland pass sales events. This special pass includes free up-close parking, free days of skiing at select mountains, discounted rental and lesson packages, and more. Vail Resorts, Vail, CO – Active duty and immediate family are eligible to receive military lift ticket discounts at these resorts on purchases made in-person at the ticket window. Winter Park Resort, Winter Park, CO – Active and retired military and their dependents can purchase Patriot® discount season passes. Crystal Mountain Resort, Mt. Baker-Snoqualmie National Forest, Enumclaw, WA- Crystal Mountain has several Military Appreciation Days throughout the season offering military personnel half price lift tickets and group lessons and a $25 rental package. On other days service members and their dependents can receive a $10 discount. Diamond Peak Ski Resort, Incline Village, NV – Active duty military who visit this Lake Tahoe ski resort are eligible to receive a free midweek/non-peak lift ticket and a $64 weekend/peak date lift ticket. Retired service members and dependents can receive a $64 lift ticket any day. Pomerelle Mountain Resort, Albion, ID – Military and any adult family members in your group can receive $5 off an adult full day lift ticket. Soldier Mountain Ski Area, ID – Discounted full day and half day tickets are available to military adults and youth. Save up to $16. Military adults and youth are also eligible for discounted season passes and, depending on the pass, offer a savings up to $180. Squaw Valley Alpine Meadows, Olympic Valley, CA – For a $50 donation that supports the organizations 22 Kill and Military to the Mountains, active duty military can receive a restricted Tahoe Super Pass plus summer Aerial Tram access. *All of the discounts require that you show your active duty military ID or other verification of service. Please visit the websites for further discount details, restrictions, exclusions and purchasing information.